Proponents of the New Jersey tuition bill had hoped to get it passsed before Gov. 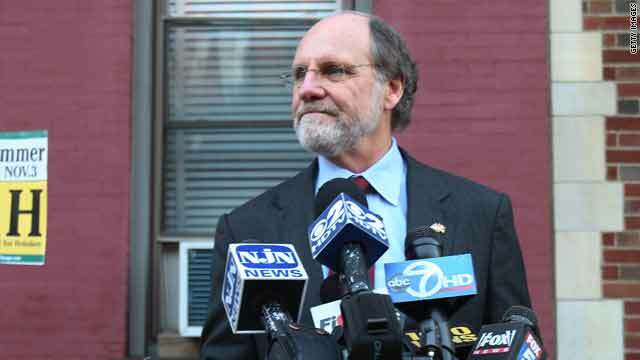 Jon Corzine leaves office on January 19. Assemblyman who opposed bill: "You are not legal, and you are not entitled"
(CNN) -- A controversial bill that would have allowed some undocumented immigrants to pay in-state college tuition in New Jersey died Monday evening. The bill's sponsor, Sen. Ronald L. Rice, said he removed the bill from the agenda during the final hours of the legislature's session because it fell about four votes short of the required 21. The measure would have allowed undocumented students to pay in-state tuition, which is significantly cheaper than that for nonresidents, if they had attended at least three years of high school in New Jersey and graduated in-state. Undocumented immigrants also would have had to file an affidavit with the college or university stating that they had applied for legal immigration status. The bill would have made New Jersey the 11th state with such a provision, following states such as California, Illinois and Kansas. Rice was optimistic after the measure made it through the Assembly Appropriations Committee on January 4. The Democrat said "these young adults are the future of New Jersey," and "their success and the prosperity of the state are inextricably linked." Meanwhile, New Jersey Assemblyman Samuel Thompson, a Republican who opposed the bill, said, "You can call it undocumented. You can call it whatever you want. But you are not legal, and you are not entitled." Advocates had hoped to pass the measure before Democratic Gov. Jon Corzine, a supporter, hands over the governorship to successor Christopher J. Christie on January 19. Christie, a Republican, had said he opposed the bill. Rice said he will reintroduce the bill in the new session, nonetheless. "We'll have to talk to the new governor to get him to understand the bill," the senator said. "I don't think [Christie] looked at a lot of these bills in depth, because he's transitioning. But I think once he gets in, he's going to scrutinize all of the things we want and make an objective determination." Rice brought forth a similar bill in 2006, but it didn't go anywhere. "You're always disappointed when you can't get it moved," he said. "But I've been here for a long time, and I've pushed bills that have taken eight to 10 years just to get them passed."